UNC Wilmington at College of Charleston, 2 p.m.
USC Upstate at Longwood, 5 p.m.
Clemson at Georgia Tech, 6 p.m.
Coastal Carolina at Georgia State, 6 p.m.
Kansas at Furman, 6 p.m.
Presbyterian at Pittsburgh, 6 p.m.
Samford at Wofford, 6 p.m.
Flagler at USC Aiken, 7 p.m.
Lander at North Georgia, 7 p.m.
South Carolina at Missouri, 7:30 p.m.
Belmont Abbey vs. Emmanuel, 11 a.m.
Erskine vs. North Greenville, 3 p.m.
Mount Olive vs. Barton, 7 p.m.
SAC Tournament, Smokies Stadium, Kodak, Tenn.
Game 4: No. 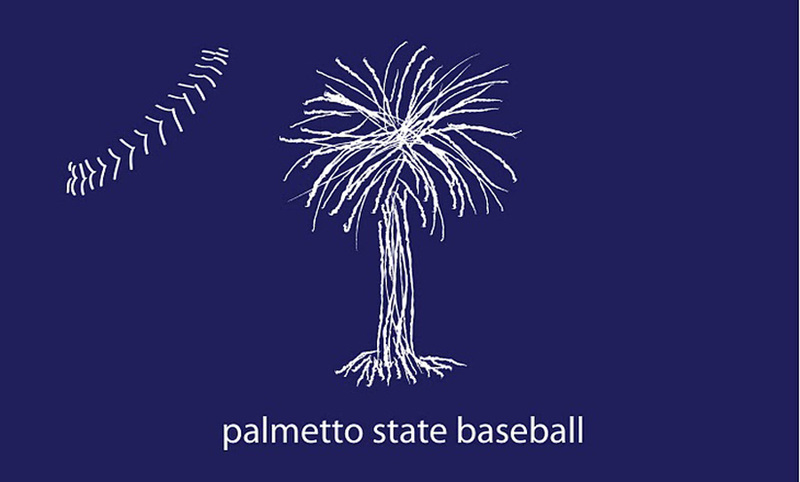 2 Lincoln Memorial vs. Wingate, 3:45 p.m.
Game 5: No. 3 Catawba vs. No. 4 Tusculum, 7:30 p.m.
Benedict at Kentucky State, DH, 1 p.m.
Presbyterian at Pittsburgh, DH, 1 p.m.
Southeastern CC at USC Sumter, DH, 1 p.m. The Citadel at UNC Greensboro, DH, 1 p.m.
Coastal Carolina At Georgia State, 2 p.m.
Lander at North Georgia, 3 p.m.
Samford at Wofford, 3 p.m.
USC Upstate at Longwood, 3 p.m.
Clemson at Georgia Tech, 4 p.m.
Flagler at USC Aiken, 4 p.m.
Kansas at Furman, 4 p.m.
Claflin vs. Winston-Salem State, Greenville (Fluor Field), 6 p.m.
USC Beaufort at Georgia Gwinnett, 6 p.m.
Game 7: Game 3 winner vs. Game 5 loser, 3:45 p.m.
Game 8: Game 4 winner vs. Game 5 winner, 7:30 p.m.
Clemson at Georgia Tech, 1 p.m.
Coastal Carolina at Georgia State, 1 p.m.
Flagler at USC Aiken, 1 p.m.
Lander at North Georgia, 1 p.m.
Samford at Wofford, 1 p.m. The Citadel at UNC Greensboro, 1 p.m.
USC Beaufort at Georgia Gwinnett, DH, 1 p.m.
USC Upstate at Longwood, 1 p.m.
Winston-Salem State at Claflin, DH, 1 p.m.
South Carolina at Missouri, 3 p.m.
Game 10: Game 6 winner vs. Game 8 loser, 3:45 p.m.
Game 11 winner vs. Game 9 loser, 7:30 p.m. Briefly: Utah Jones had four hits as top-seeded host North Greenville won its first-round game in the Conference Carolinas Tournament. The Crusaders' next opponent will be Erskine, which lost to Mount Olive earlier Thursday ... Coker got a solid outing from pitcher Jon Koski, but was bounced from the South Atlantic Conference Tournament ... Anderson picked up 15 hits to advance to the dounble-elimination portion of the SAC Touranment. Briefly: Jackson Lindley pitched into the sixth inning for his first career win and Logan Davidson homered as Clemson snapped an eight-game losing streak ... Harrison Hawkins singled in the go-ahead run in the fourth and three College of Charleston pitchers combined on a six-hitter ... M.J. Sasapan's 11th-inning single gave Furman its second extra-inning walk-off win in as many nights ... A five-run first sparked Florence-Darlington Tech to its 38th win of the season ... Emmanuel's seven-run seventh knocked Limestone out of the Conference Carolinas Tournament. .